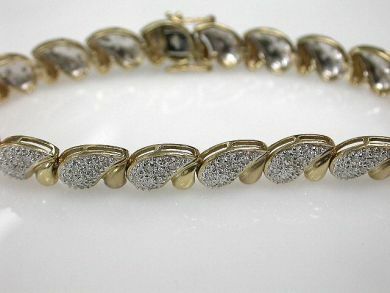 One 14 karat yellow gold and rhodium plated tennis bracelet. The paisley link bracelet is set with ninety-five single cut diamonds (0.71 carats: I1-I2 clarity: I-J colour). The bracelet is seven inches in length.